Smartphones, smart TVs, smart remote controls, we thought we'd seen it all. 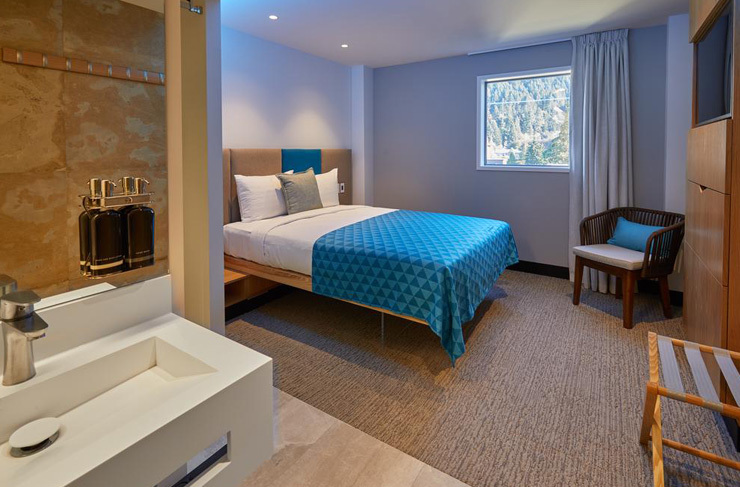 Well MIPAD Holdings is taking it to another level—they just opened New Zealand’s first fully ‘smart’ hotel in Queenstown. So what does a smart hotel even mean? Good question. We thought the same, so we got a little inside scoop of what this hotel has to offer and yup, she’s a smart one. It's called Mi-Pad. It features six storeys and over 50 stylish rooms, stacked with the latest tech, social spaces and an energy-conscious rooftop terrace. Not only is Mi-Pad smart in terms of preserving the environment and having the latest gadgets, it's also just plain convenient. Guests can book through the ‘Mia’ app from their smartphones, and your phone becomes your room key. That means locking yourself out of your hotel room is less likely, and 'checking in' is a thing of the past. The app is more than just a room key too, it’s basically a remote control for everything in your room. Keen for some late night room service or want to change up the ambience? You can control the lighting on your phone and order a burger straight to your bed. Mi-Pad doesn’t just want you to experience ultimate convenience, it also encourages you to get out there and have some fun. After you settle in and get comfy, the app will send you the latest events and activities in Queenstown. Nice. The location is super central too, so you won't have to walk far to get into the thick of it. The fittings are top of the range, as well. From Queen beds fit for royalty, smart TVs, top-of-the-line hair tools to get you looking fresh for the town, and the floor-to-ceiling ‘social wall’ in the hotel’s entrance lobby (where you can choose to feature your experience through the app). They've really raised the bar.